As I look ahead to 2019 and my retirement from the City today, I reflect on these past 10 years as City Manager with a great deal of pride in our community. 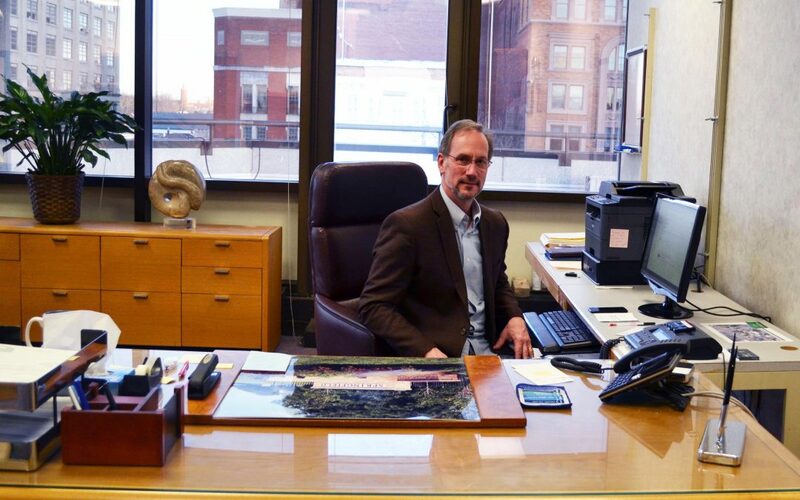 It was a challenging time for Springfield when I took over as City Manager in late 2008. It was the dawn of the Great Recession, and like so many other communities, we found ourselves in the midst of a housing and economic crisis whose impact would be felt for some time. In addition to reduced revenues and home foreclosures that impacted our neighborhoods, we faced cuts in state funding that forced us to make many tough choices. But, Springfield is a resilient community of hardworking people and we were determined to look past the challenges and toward the future. With the unwavering commitment of our city employees and the support of a proud community and valued partners, we never gave up. We saw the construction of a new hospital in the heart of the city, forging new partnerships and laying the groundwork for a more vibrant downtown. We were proud to open The NTPRD Chiller, Springfield’s own ice rink that is host to skating, hockey, family fun and special events. We built bridges – literally – on Fountain Avenue near Veterans Park where the bridge, appropriately named Veterans Bridge, was rebuilt and adorned with lighted columns that were preserved from Memorial Hall, and at Snyder Park where we were able to repurpose the golf course into sprawling gardens whose splendor has already blossomed, as well as a new playground and splashpad, a dog park, whitewater kayaking, and a newly-completed paving project. The City is in a good place and is headed in the right direction. The City Commission recently made some key votes to advance projects that will add to the momentum: the first significant housing development in decades, the Bridgewater Subdivision off of Tuttle Road; construction of 34 townhomes between West Main and West Columbia streets, the Center Street Townes; and a downtown parking garage. My successor, Bryan Heck, will take office on Feb. 1. I am fortunate to have seen Bryan develop as a professional manager these past 10 years, and I’m proud that he will serve as our next City Manager. He is an ideal fit for the progress and challenges that lie ahead, and I join all those who have congratulated Bryan in his appointment to this fulfilling new role. Any leader wants to leave things better than they found them – I feel successful in that regard due to a very good team around me, strong community partners and a great city. It has been a great career, and I will be forever grateful for having had this opportunity. My best wishes to all for a happy New Year, and a peaceful and prosperous 2019.